You won't see this anywhere, except at the beach - a surfboard strapped to a bicycle. 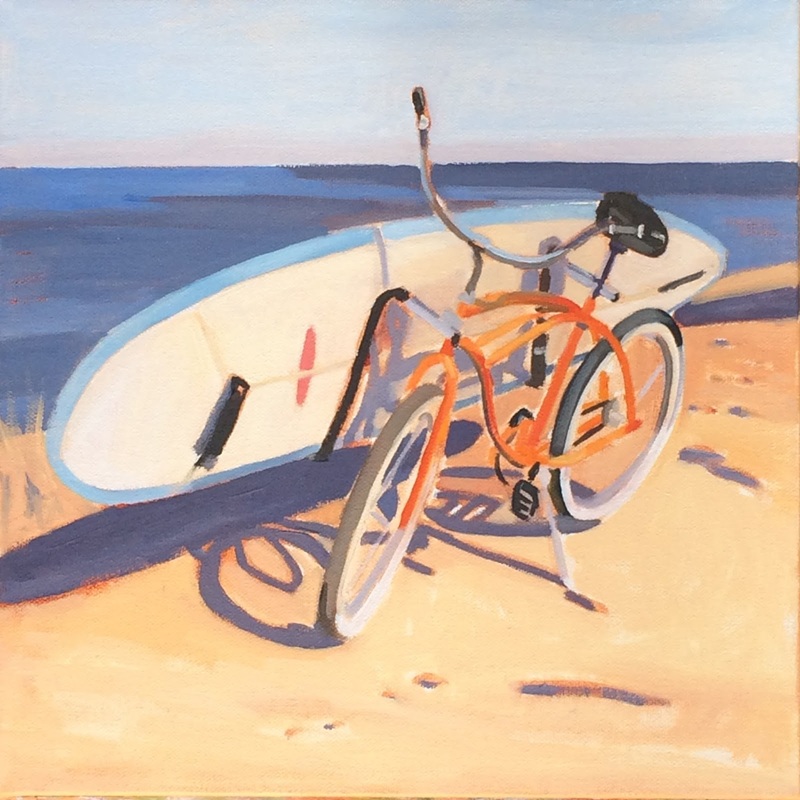 An orange beach cruiser bicycle, a board with a little wax on it, and ready to surf. 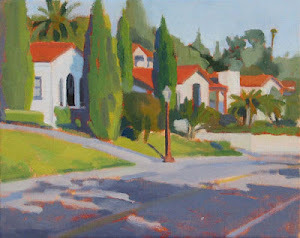 I'm finishing up paintings for my show at Viewpoints Gallery, titled "Santa Cruz to San Francisco." This painting and many more will be in the show December 1 - January 2, with a reception on Saturday, December 5, from 2-5 pm. Come by and say hi!